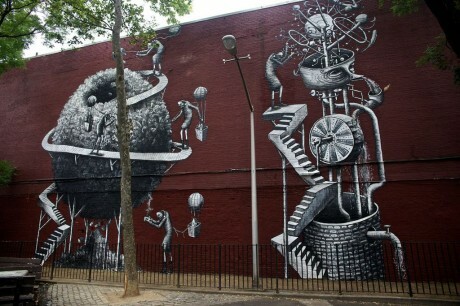 Phlegm has been in New York recently and the Sheffiled based artists put up a series of murals in Manhattan at the Fulton Housing Project. 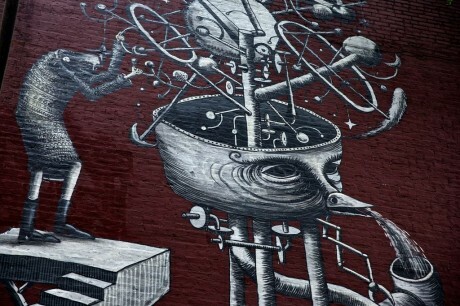 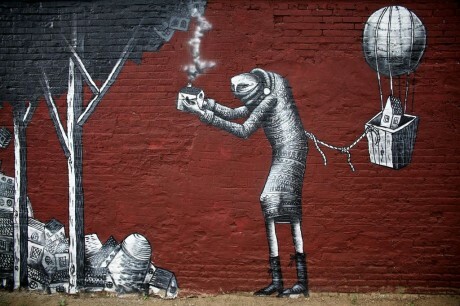 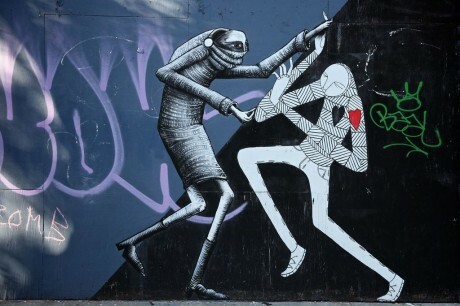 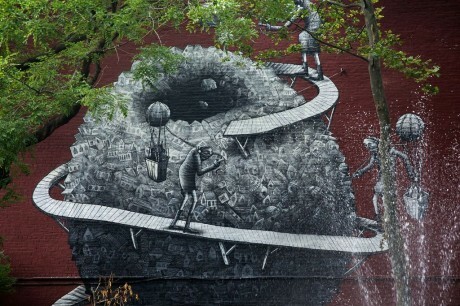 We love Phlegm’s work here at UKSA and these new pieces are no different from his usual trademark images. 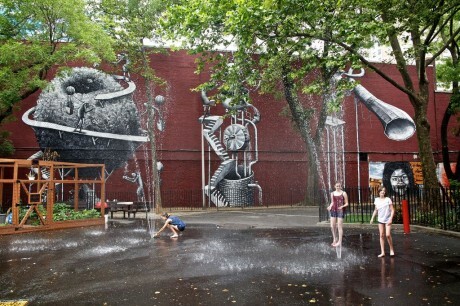 We’re sure you agree, these are some incredibly intricate pieces which huge amount of detail.